Less than a half century ago, China experienced a cataclysmic famine, which was particularly devastating in the countryside. As a result, older people in rural areas have experienced in their lifetimes both extreme deprivation and relative abundance of food. Young people, on the other hand, have a different relationship to food. 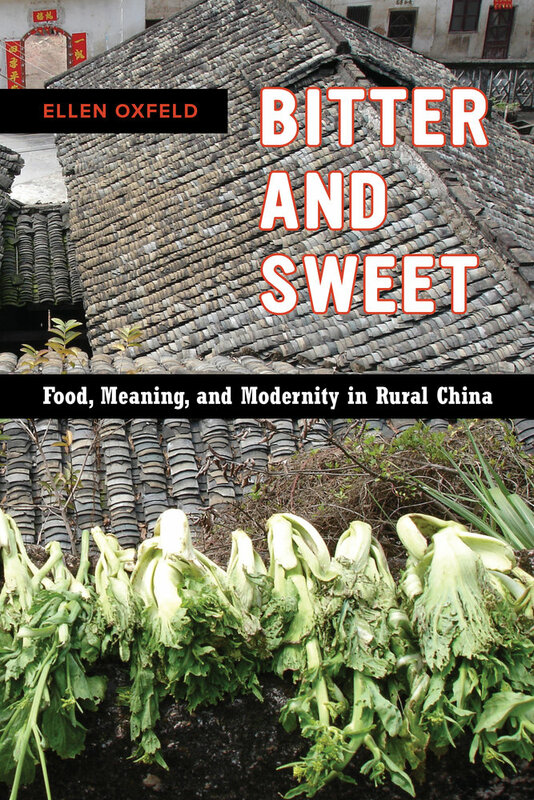 Many young rural Chinese are migrating to rapidly industrializing cities for work, leaving behind backbreaking labor but also a connection to food through agriculture. Bitter and Sweet examines the role of food in one rural Chinese community as it has shaped everyday lives over the course of several tumultuous decades. In her superb ethnographic accounts, Ellen Oxfeld compels us to reexamine some of the dominant frameworks that have permeated recent scholarship on contemporary China and that describe increasing dislocation and individualism and a lack of moral centeredness. By using food as a lens, she shows a more complex picture, where connectedness and sense of place continue to play an important role, even in the context of rapid change. Ellen Oxfeld is Gordon Schuster Professor of Anthropology at Middlebury College. She has also been a visiting scholar at the Hakka Research Institute, Jiaying University, Meizhou, Guangdong, China. She is the author of Drink Water, but Remember the Source: Moral Discourse in a Chinese Village, among other books.